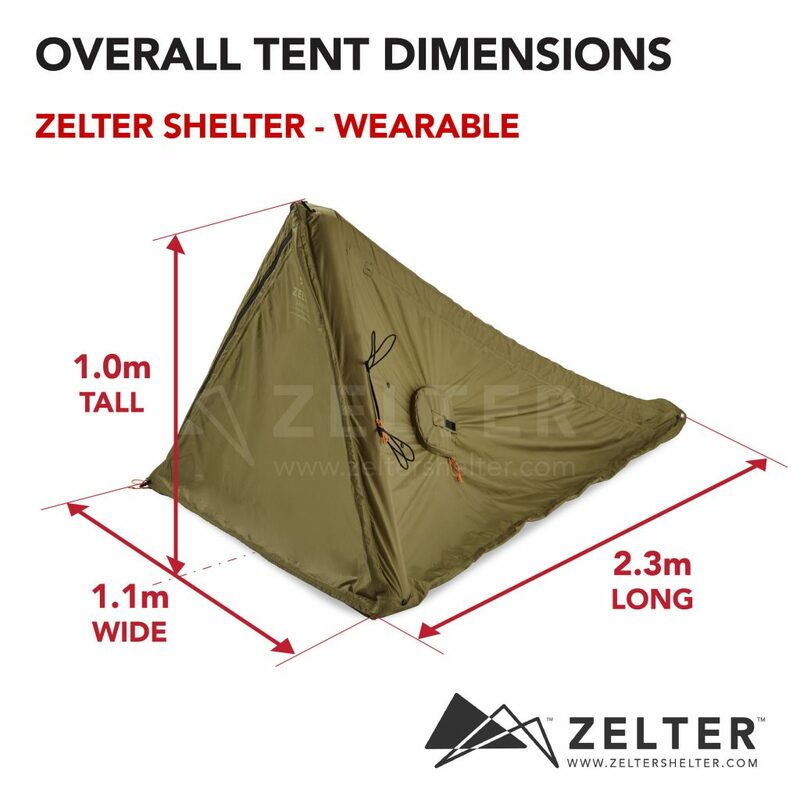 How big is the Zelter Shelter tent? A lot of people have been asking – “When the Zelter Shelter’s set up as a tent – How big IS it?” – Well… Here you go. We created these images to show how big it is! A Zelter Shelter is about 2.3m long overall. It’s made for one person and some gear. Wearable and Tent/Tarp versions are the same overall size in tent mode. There’s a bulge in the pointed foot area to give taller users some space for their feet. Zelter Shelter on YouTube – Like, comment and subscribe!